1. 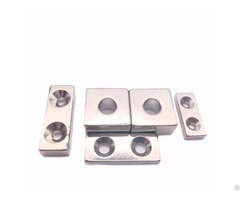 We provide high preceision magnet like Smco, NdFeB, Alnico and Ferrite. and also soft magnetism core, magnet plate, pot magnet, lifting machine, magnetic coupling, Iron silicon aluminum magnet, rubber magnet, Injection molding magnets etc.. 2. Reply your inquiry and email within 18 hours. Please feel free to call us at any time for urgent matter. 3. 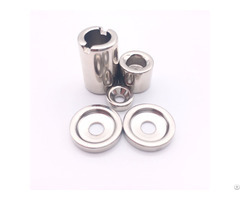 Custom & design and manufactuering all kinds of magnet with reasonable price. 4. We deliver goods in time and full-way tracking the cargos until the goods arrived. 5. Samples are always available, try our best to provide mould by ourselves. 6. Always provide excellent and friendly service. 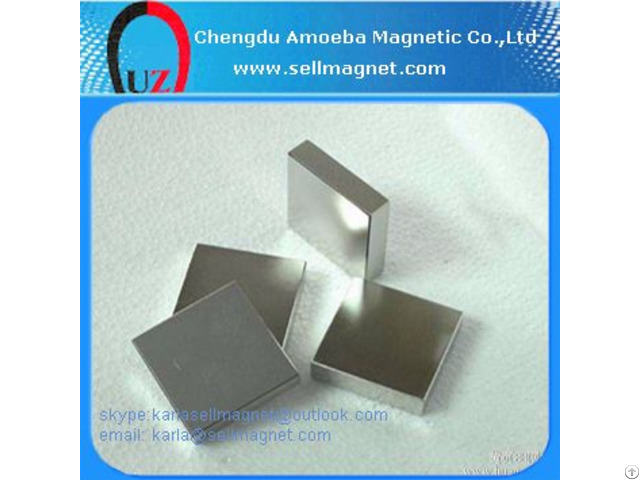 Chengdu Amoeba Magnetic Co.,Ltd (AMOEBA) is a factory established in1990 and has assets of RMB250,000,000, our company covers an area of 16,440 square meters ,and has more than 2,000 employee,8 producing factories,2 branch companies and 1 professional testing center. we have passed ISO-9001-2000, QS900 quality system certification, and the TS16949 quality control system. We mainly produce sintered and bonded ndfeb, Smco, Alnico and Ferrite,The annual capacity of our company is-- sintered NdFeB 5000tons,Bonded NdFeB 800 tons, Alnico magnet 500 tons, the Ferrite 10000 tons, and 4500 tons magnetic core., we can make high energy product up to N55、N52、N48H、N46SH、N45、42M、42H, etc. we have got the licence to export to America. we have the technique team to develop the mould following customer’s request. And our R&D Center also could design different magnetic applications according to customer’s applies. more than 80% of Amoeba Magnetic products has been exported to U.S., Europe and Southeast Asia with the annual exporting over 80,000,000 CNY. With The efficient and fast E-commerce service and matching systems of serial production, quality assurance and after-sale service, we will provide the product with the best service for the clients. Our factory is located in Sichuan province, one of the professional magnetic material manufacture base in China. Based on its convenient and complete matching services for magnetic material in Sichuan, our factory could supply the top quality products with the best price and lead time to the customers all over the world!